Jeddah: In yet recognition of the uncompromised quality standards maintained across its manufacturing facilities, Saudia Dairy and Foodstuff Company (SADAFCO) has been granted ISO 14001:2004 for Environmental Management and OHSAS 18001:2007 for Occupational Health & Safety Management certifications in the first quarter of 2017. The audit, conducted by the world’s leading testing body, Bureau Veritas, was successfully completed this year and included documentation review and inspection visits of SADAFCO’s two factories in Jeddah and one in Dammam. The ISO 14001 certification ensures that SADAFCO regularly goes in a continual improvement process towards the environment, highlighting employee commitment and raising product awareness. It involves employee training, rigorous monitoring of regulatory requirements, controlling of water and energy consumption through a dedicated action plan, waste management including the implementation of a sorting system, using more environmentally-friendly chemical and cleaning products and preserving biodiversity. The OHSAS 18001 certification is a commitment that SADAFCO assumes in relation to its employees and all those who collaborate and interact with the company. The company voluntarily conforms to a set of rules ranging from the control and protection of legal compliance in safety, staff training and awareness of accident prevention, monitoring of safety and health in the workplace, thorough risk assessment, incidents and accidents investigation and management ensuring a systematic and organized approach to emergency preparedness. Around 400 SADAFCO employees received training ranging from basic awareness of emergency situations to more specific conditions for particular departments like Auditing. “I would like to express my gratitude to everyone who got involved and contributed to the successful completion of this project,” added Juan. “The new certifications are in line with SADAFCO’s strategy to achieve compliance with international standards to ensure the highest levels of product quality to safeguard our sustainability and steady growth in the region.”In 2013, SADAFCO received the global ISO 22000:2005 Food Safety Management certification from Intertek-Moody International across its three factories in the Kingdom. The ISO 22000:2005 specifies requirements for a food safety management system where an organization in the food chain needs to demonstrate its ability to control food safety hazards in order to ensure that food is safe at the time of human consumption. All three certifications share the same procedures for training, objectives, documentation control, internal audit and purchasing, all integrated in the SHEQ Management System. 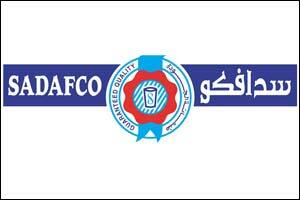 Established in 1976, SADAFCO has risen to become a leading dairy and foodstuff manufacturer, importer, distributor and marketer in Saudi Arabia and has established a strong reputation and loyal following in the food and beverage industry across the GCC region.